For efficient cutting of the weeds and grasses in the farm or yard, you require to get the right tool. 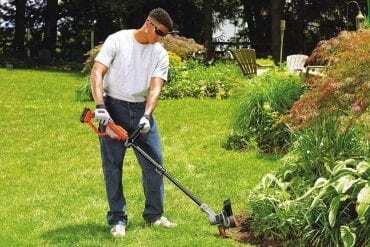 A grass cutter is a preferred tool that will efficiently and perfectly cut all the weeds or grasses at any time needed. You can use them at the office, home, school garden or any other place you would want to maintain good-looking grass. 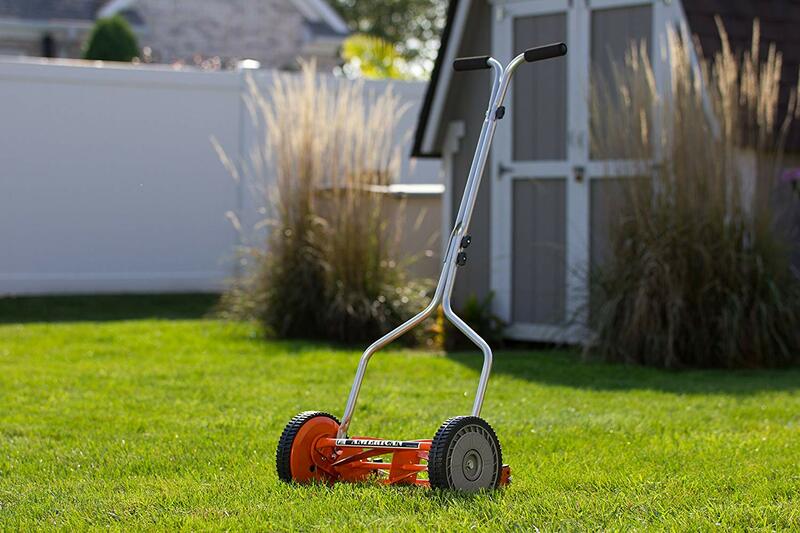 For the first-time buyer, choosing the best grass cutter can be difficult. To assist you in selecting the best grass mower, we have listed the top 10 best grass cutter machines you can get right now on the market. 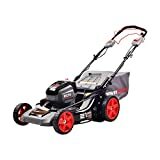 If you are looking for the best grass cutter for small and medium-sized yards, then you cannot go wrong with the Great States 815-18 18-Inch Push Reel Lawn Mower. This lower mower is hand-powered and does not need to be powered by oil or gas. It is made of really tough and heat-treated alloy steel which makes it durable. It features 10-inches composite wheels which make maneuvering, handling or pushing of the lawnmower easier. Furthermore, it has a loop-style handle with cushioned grip for added comfort when cutting grass. The Great States 815-18 grass mower also has adjustable grass cutting height of 0.5 to 2.75 –inches for even and clean cut every time. 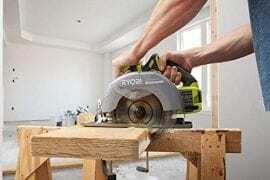 This machine is also easy to assemble and doesn’t require any tools. 5 to 2.75-inches grass cutting height. 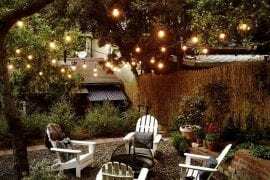 Ideal for small and medium yards. It has an adjustable cutting height. Manual push but it is easy to maneuver. The Sun Joe MJ401E is one of the most powerful electric grass cutters on the market. This grass mower is designed for small-sized lawns. 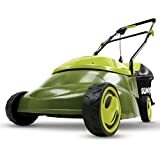 It uses a 12 amp powerful electric motor to efficiently and quickly mow your lawn. It has a wide cutting deck to get the work done quickly. 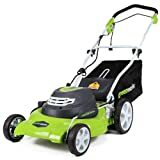 This grass machine starts instantly with the simple push of a button making it easy to use. It has rugged all-terrain wheels to maneuver in tight space easily. 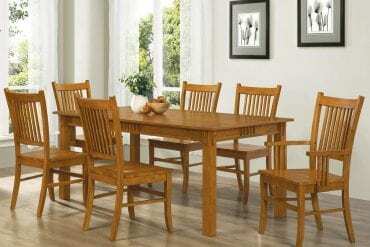 On top of that, it is equipped with a durable steel blade that cannot easily break or rust. 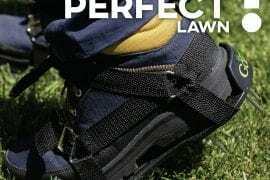 It also has 3–positions adjustable grass cutting height from 1 .18 inches to 2.52 inches, allowing you to cut grass to your preferred height. The Sun Joe grass mower machine comes with a 10.6-gallon grass collecting bag which makes disposing and collecting of the grass clippings a breeze. This machine has collapsible handles for compact and easy storage when not in use. Are you looking for the best grass cutter that can quickly and efficiently trim turf grass? Then, the Greenworks cordless lawn mower is a perfect choice for you. The GreenWorks mower comes with two rechargeable batteries that extend the runtime. This makes it perfect for lawns measuring up to 1/3 Acre. It features a 20-inch cutting deck that offers a great balance of cutting capacity and maneuverability making it ideal for the mid-sized areas. The mower uses designed with the Innovative smart cut technology to adjust the cutting power depending on the thickness of your grass for long usage time. This helps to increase the running time of the grass cutter. Also, this grass cutter machine has padded handles that prevent blisters and chaffing on your hands. Comes with 4 Ah battery & 2 Ah battery. Running time: up to 70 minutes. More powerful than other mowers. The BLACK+DECKER BEMW472BH is a powerful electric and easy to maneuver grass cutter machine. 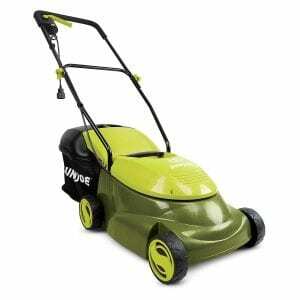 This grass machine features powerful motor and heavy-duty sharp blades which makes it perfect for any grass. The push-start button system makes the starting and operation of the mower a breeze. 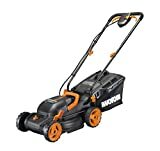 The BLACK+DECKER BEMW472BH lawn mowers feature a wide cutting base that allows you to cut grass fast than you could with a small with cutting base mower. Additionally, this lawn mower has rugged wheels and padded handles which make it easy to maneuver through tall grass. It also features six-position cutting height adjustment settings, allowing you to cut the grass at the precise height you want. 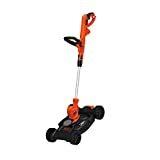 The BLACK+DECKER BEMW472BH grass cutter has a foldable and lightweight design for easy storage and carrying. Dimensions: 31 x 18 x 15.6 inches. Six height adjustments settings from 1 to 3 inches. Grass catcher bag is Included. Easy to control and use. Powerful for medium & large yard area. No gas needed to operate. If you are looking for an affordable and inexpensive to maintain grass cutter then, the American 1204-14 grass cutter machine is the perfect choice for you. This mower is designed to handle different types of grasses including fescue, rye, bluegrass, and much more. 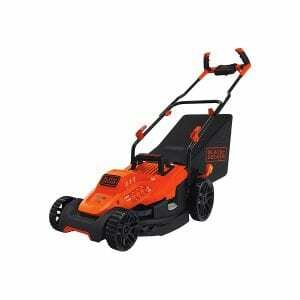 It has a 14-inch width cutting deck that makes it perfect for small yards. The American 1204-14 lawn mower has adjustable cutting height settings of 0.5 to 1.75-inches that are very easy to switch between. Its cutting blades are made from high-quality alloy steel material making them stay sharp longer. Furthermore, it features composite wheels and a comfortable T-shape that makes it easy to use. 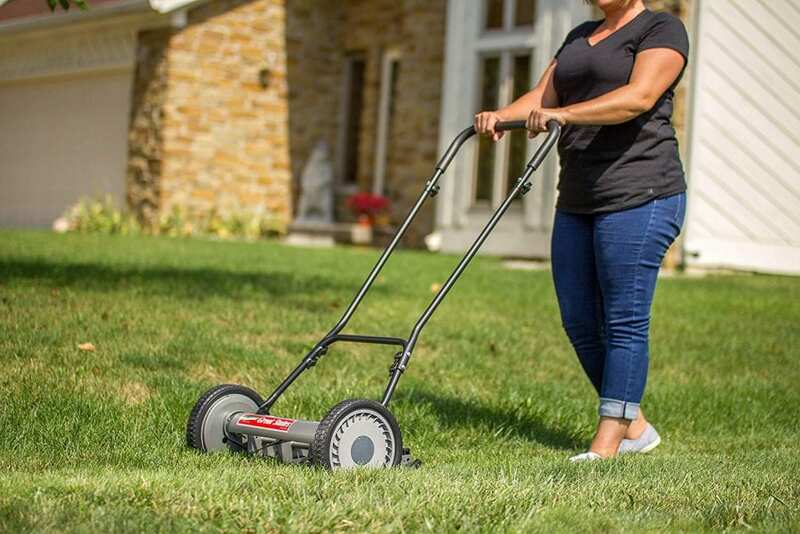 This push reel grass cutter is constructed from high-quality materials so you can be sure that it can last for a long time with the proper maintenance and care. Cutting height from 0.5 to 1.75-inches. Grass Cutter Type: Manual Push. Quiet operation & no air pollution. Manual Push but it is easy to push. Do you want to keep your grass short, even and neat? The Worx WG779 is one of the best grass cutter machines on the market that you can trust. It is s to maneuver, thanks to its lightweight design. The mower uses two 20V batteries for extended runtime. This makes it perfect for long hours of use when cutting grass without running out of power. The Worx WG779 cordless mower uses the patented intellicut technology which regulates the cutting power depending on the thickness of the grass. This helps to save your battery. Besides, it has 3- position adjustment, which allows you to get precision cutting height at any time. The Worx WG779 grass cutter machine also offers you the 2-in-1 flexibility to bag or mulch. Lastly, this machine features padded handles which provide a comfortable grip for reduced fatigue while mowing. Has a wide cutting deck. Simple to use and quiet. The battery takes long to charge. 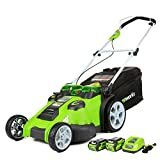 This mower has a 6.5 amp motor with a PowerDrive transmission for maximum performance when trimming through the toughest grass and weeds. Additionally, it features the Automatic feed Spool which enables you to continue working without bumping or stopping to adjust the spool. 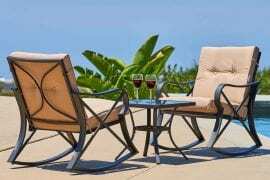 Its lightweight design and adjustable handles make it easy to use. Cutting Heights: from 1.6 inches to 2.4 inches. Cutting Path deck- 12 inch. Large wheels for ease of turns. Say goodbye to pull cords, extensions, oil, and gas with the Sun Joe iON16LM grass cutter machine. This compact size mower is ideal for small to mid-sized lawns. 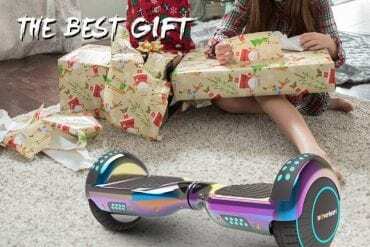 It is engineered with a powerful 600W brushless motor to increases battery efficiency and maximum performance. 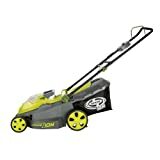 The Sun Joe iON16LM mower comes with rear all-terrain wheels that make it easy to maneuver in tight spaces. Its padded handles increase the comfort of the users. Furthermore, this cutter features a 6-position height adjustment lever that allows you to adjust the cutting height from 1.18 to 3.15 inches. Finally, this mower is powered by a 40 V iONMAX battery that has a run time of up to 40 minutes. Has 9.25 gal grass bag. 15 inches wide cutting path. Height adjustment from 1.18 to 3.15 inches. 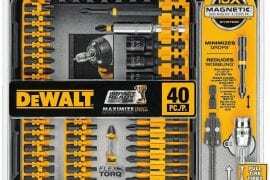 Long-life batteries to finish whole yards. Simple to use and push. The POWERWORKS MO60L02PW is among the top-rated and top-selling grass cutters on the market. This mower machine has a 3-in-1 function for side discharge, mulching, and rear collection. It features a 60V brushless motor to ensure it delivers a reliable result. This Powerworks mower has a more quiet engine compared to other models on the market. This grass mower features seven-position height adjustment allowing you to achieve the best cut on all grass types. Furthermore, this self-propelled grass cutter has a 21-inch deck to help you get the job done quickly and decently. The POWERWORKS MO60L02PW mower is designed for yards measuring up to 3/4 Acre. It has foldable handles and compact for easy storage in your garage. This mower also comes with a four-year limited warranty from the manufacturer. It has a 3-in-1 design. Dimensions: 59 by 22.05 by 39.37-inches. The Greenworks 25022 is one of the best plug-in electric grass cutter machines on the market. This grass trimmer machine comes with 12 Amps powerful motor that works flawlessly. It is very easy to use and startup. This mower has a wide 20-inch cutting deck that allows you to finish cutting your grass in less time and fewer passes. 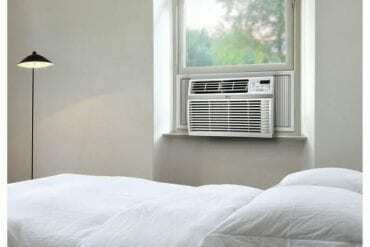 It features 7-height adjustment settings from 1-1/2 to 3-3/4 inches. What’s more, it comes with 10-inch rear and 7-inch front wheels for easy maneuverability and better stability. Finally, it has foldable handles for compact storage. 10-Inch Rear & 7-Inch Front Wheels. 1-1/2 to 3-3/4 inches height adjustment. 3-In-1 design for Mulching, Rear Bag, and Side Discharge. The motor doesn’t overheat after long use. Below are the factors you should consider when choosing the best grass cutter machine. Cutting Deck Size: The size of the deck determines how long you will take to complete your mowing task. The larger the deck, the quicker you complete your grass cutting task. Ease of Operation: It is advisable to choose a mower that is easy to use. Examples of the things you need to consider in this case are assembling, easy of maneuvering, and cruise control. The best machine should be easy to operate and use. Weight: The next thing you need to consider is the weight of the mower. The best mower should be lightweight for easy maneuvering and storage. Self-propelled OR Push Type: The self-propelled grass cutters machines are more expensive compared to the push grass cutters. A self-propelled grass cutter machine is best in handling big and thick grasses. It is easy to use since you can save your back and legs from the strain. We hope with our reviews and buying tips you can now easily find the best grass cutter machine for your lawn. 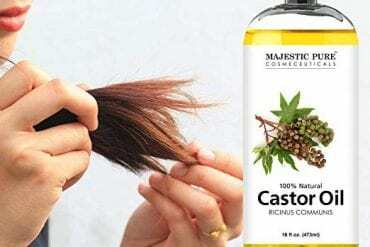 All the items we have reviewed are easy to use, affordable, powerful and top-rated. To get the best grass machine, we recommend you to choose only the items we have listed above because they are currently the top-selling and top-rated grass cutters in 2019.